BIM provides the view on the essential information! 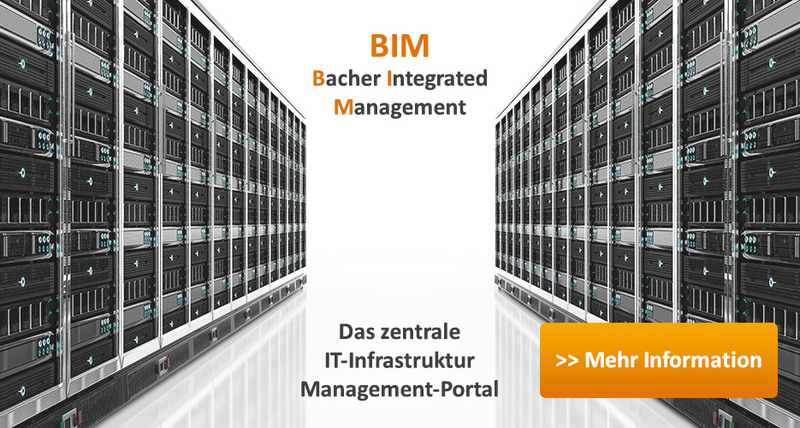 Bacher Integrated Management (BIM) takes you a big step forward towards simple and secure IT-Operations. Developed by Bacher Systems, BIM provides the crucial answers on important questions around your IT-infrastructure and provides a compact and comprehensive overview of your IT-landscape.